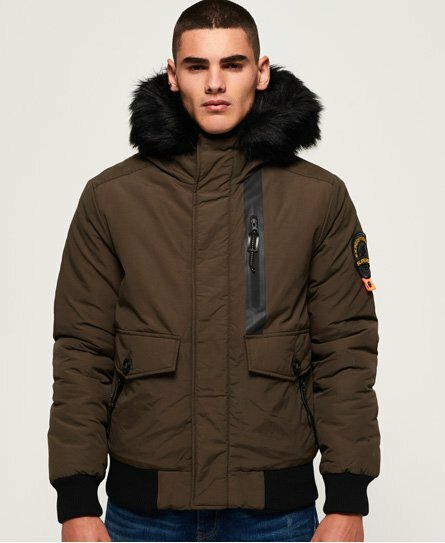 Superdry men’s Everest bomber jacket. Stay warm this season in this Everest bomber-style hooded jacket, featuring a faux fur detachable trim, bungee cord adjustable hood and a popper and single zip fastening to keep the wind out. The Everest bomber has five external pockets and one internal pocket to keep your belongings safe. For the finishing touches, the Everest bomber has been designed with ribbed cuffs and hem as well as a Superdry badge on the sleeve to incorporate both comfort and style into this jacket.